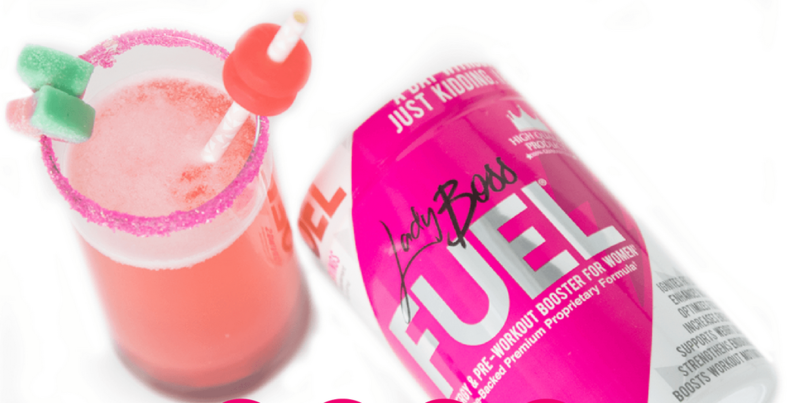 Ladyboss Fuel is a pre-workout drink specifically formulated to women. LadyBoss makes bold claim that it enhances mood, reduces stress, all without jitters or dizziness. Beat your weight loss plateau with the help of this specially formulated Ladyboss Fuel supplement drink. It is made to give you motivation in a bottle. Drink it before your next workout to achieve greater energy and enhanced mood. You can break through that plateau and lose the weight you want with the entire Ladyboss product line. The product contains 15 ingredients shown scientifically to give women the energy and focus needed to power through a workout and stay upbeat without jitters all through a busy day. The formula puts the body into post-exercise energy consumption mode. This means that your body keeps burning fat even after a workout. It contains Rhodiola, a natural ingredient used in Chinese medicine to prevent fatigue. It is packed with vitamin B6 so the body can absorb and make use of other major nutrients properly. It also contains vitamin C, niacin and caffeine along with other powerful vitamins to keep you going. The ingredients facilitate muscle strength and prevent tiredness all while promoting fat to burn away fast. It tastes like delicious watermelon candy. Just mix a scoop with water and enjoy before heading out to the gym. LadyBoss is fitness and nutrition company owned by Kallen. Alongwith Fuel she also sells other supplements like LadyBoss Burn, LadyBoss Lean, LadyBoss Recover etc. You can buy it from official website. Hoever, I found that buying from Amazon is cheaper and more convenient.